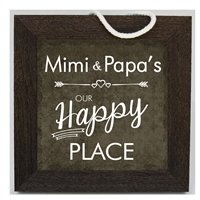 If you are shopping for great grandpa gifts, you are truly blessed! We have the best gifts for great grandpa if you want to touch his heart. We have a selection of great grandparent frames, poems about grandpas, grandparent brag books and a customer favorite, The Grandparents' Memory Book. 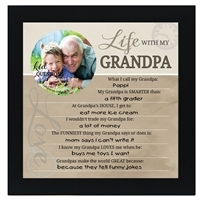 Our thoughtful gifts for great grandpa are perfect whether you call him Granddad, Papa or Poppy!